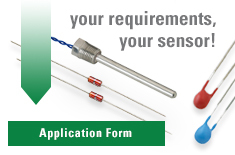 Littelfuse surface mount end-banded thermistor elements are designed for use on hybrid substrates, integrated circuits or printed circuit boards. They have a solder coated metallization which is suitable for various contact techniques including wire bond, epoxy or solder. Since they are manufactured using the most advanced equipment and technology available, their dimensional parameters are extremely uniform making the devices especially suitable for use with automatic handling and placement equipment.